Good teachers in every subject and grade level will adjust their teaching based on what their students know at each point. Valuable formative assessment holds all students accountable, engages everyone, removes the embarrassment of public hand raising, gives teachers real-time results that impact how and what they are teaching at that moment, and give students immediate feedback that impacts how they are learning. Think about your learning cycle and determine where you would like to embed checks for understanding/formative assessment to provide you with real-time data that will allow you to adjust your instruction and provide personalized learning for individual students’ unique needs. 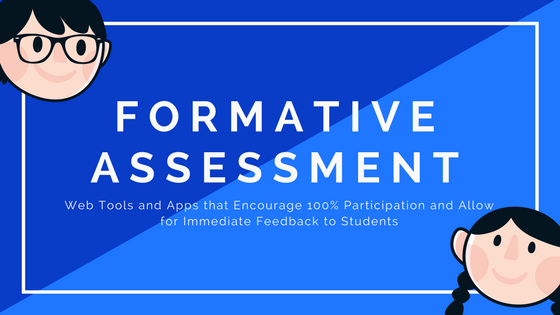 Formative assessments, whether formal or informal, are embedded regularly into every step of the learning process, not just administered at the end of the learning cycle/instructional period. In order to have a meaningful formative assessment, it should have three things. First, there should be proper alignment between the formative assessment and your standards (what you intend to measure. Next, there should be opportunities for “in-the-moment” feedback. Effective feedback should be relevant, include clear goals, address misconceptions, provide students with opportunities to advance, and include specific comments, not just a grade. Lastly, the formative assessment should provide opportunities for the student and the teacher to reflect on learning. All formative assessments should inform teaching and learning, so when you are choosing a formative assessment tool or app you should be thinking about how the data is collected and what types of reports the teacher has access to and what feedback the students have access to. These are some of my favorite formative assessment tools to use in the classroom. Teachers can create, send and grade formative/summative assessments with Google Forms. Some question types automatically award point based on correct answer (multiple choice, checkboxes, dropdown, and short answer. When you use Google Form Quiz with Google Classroom you now have the ability to import grades from Google Form Quiz to Google Classroom! Socrative allows teachers to instantly connect with students as learning happens. You can quickly assess students with prepared activities or on-the-fly questions to get immediate insight into student understanding. Teachers can then view students responses and results in real-time from their teacher dashboard. These results can then be used to determine the best instructional approach for individual students or groups of students. edpuzzle is a video platform for teachers and students. Teachers are able to make any video their lesson with really easy to use tools. With edpuzzle teachers are able to know if their students are watching the video, and even how many times per section they had to watch/rewatch as well as if they are understanding the content. Teachers can add questions with their voice or by text within the video. One of the best things about edpuzzle is that teachers can find and use existing videos from YouTube, Khan Academy, etc. or upload their own. Padlet can be used by students and by teachers. Teachers can create an online post-it board that you can share with any student or teacher that you want. Just give them your unique Padlet link in order to access it. Padlet allows you to post ideas anonymously or with your name. Whoever has the Padlet board opened on their device can see what everyone is posting in real time. Padlet is easy to use and provides a great way for students to be able to post and share their ideas with one another. Classkick is an app (also available on Chromebooks, desktops, and laptops) for sharing assignments with students, monitoring their progress, and offering feedback. Each assignment consists of a series of "questions" which appear on the teacher's dashboard like individual slides. -What Are Formative Assessments and Why Should We Use Them? Sometimes when I am out at schools, and I get to witness students creating products like infographics, menus, posters, or photo collages in their classroom I like to see what tool(s) they are using. One web tool that I've seen used to create the aforementioned products is Canva. I like it so much that I often use it myself for flyers to professional learning workshops I have held. So, what is Canva? It is a free designing tool that makes creating items like flyers, ID cards, and invitations SIMPLE. You can use the amazing templates and photographs already available in Canva or upload your own to make unique and creative creations. Try it and see what you and your students can create. Here are links to additional resources. Keep is an awesome productivity tool from Google. Because Keep integrates its reminders between Calendar and Inbox, I think this tool can be a game-changer. Keep also incorporates a powerful optical character recognition tool you can use to grab text from an image. First, take a look at how you can use Keep in your classroom by watching the embedded video. Then, complete the Task List below and set yourself up for Keep-success! Need a little extra help? Be sure to click on the help links for quick on-screen demos! (Van De Walle, Karp, & Bay-Williams, 2016, p. 136). This resource includes vetted resources linked to standards through tasks, videos, and lesson plans. This resource includes learning resources, lesson plans and digital tools. There are also multimedia investigations for students and video vignettes to promote professional reflection. Additionally, Calculation Nation allows student to play mathematics games with each other over the Web. 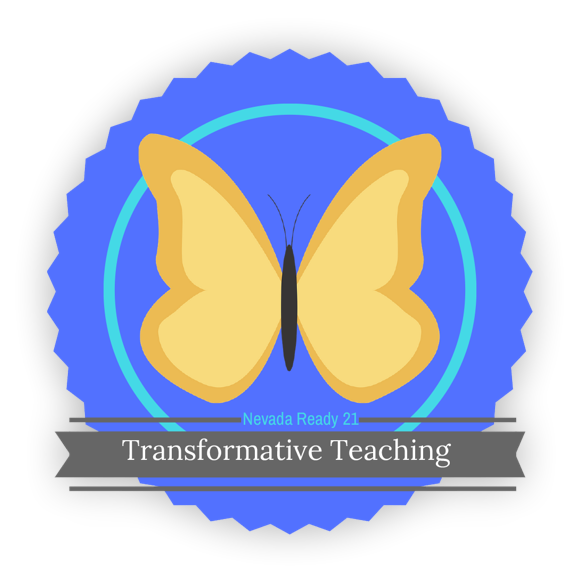 Are you interested in how to use differentiated instruction to design transformative, student-centered learning opportunities? Well, we are inviting all Nevada Ready 21 middle school teachers and digital coaches to a special blended learning opportunity that will change the way you teach with Chromebooks! Learn more about this special opportunity by clicking here.